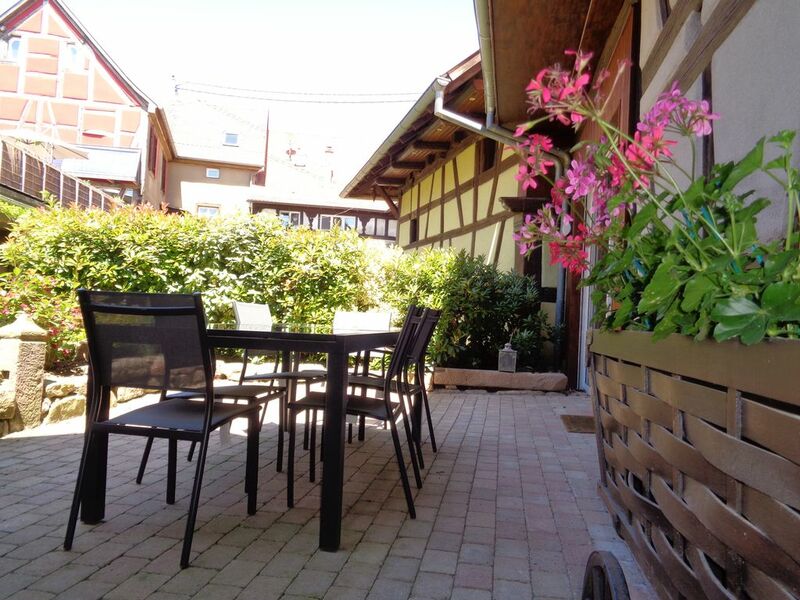 Located in the heart of Alsace, on the wine route halfway between Colmar and Strasbourg, near the main tourist sites, Dambach-la-ville is a charming medieval village nestled in the vineyard. The cottage, located on the ground floor of an old barn completely renovated, gives direct access to a beautiful paved terrace facing west. With an area of ​​80m2, it is equipped with 2 bedrooms that can accommodate a total of 5 people. Equipment: fitted kitchen, dishwasher, washing machine, barbecue, garden furniture, television. Services included: wifi, sheets, towels, cleaning. Label Gites de France 4 stars. Elegant, modern and spacious property beautifully clean and well appointed. We were met by Anne and Eric the owners who were very engaging and friendly. The property is situated in a beautiful old walled village with local amenities very close by, particularly a boulangerie and local wine caves. We would definitely recommend this to our friends and family and would stay again.